Vista’s Control Panel is even more important than the equivalent in XP. What you find is that Microsoft has moved settings to the Control Panel, consequently, there are more sections, each with more sub-sections. This screen shot is taken from a portion of the new Vista Control Panel. Incidentally, this is an example of the new AERO high resolution graphics, where you get high definition pixels on each icons. Even though XP has been widely available for over five years, if you happen to observe people configuring their Control Panel, you will see that 80% of them switch from the new mode back to the Classic. My personal mission is to shake off this ‘Luddite’ thinking, abandon the Classic View, and use only the new style Vista Control Panel. The Network and Internet Section is a good bellwether for appreciating what’s new in Vista. Click on an icon and what you get is one of six sub menus. My mission is to go beyond the feature headlines and show you the details. The benefit of the Network and Sharing Center is that it displays, at a glance, how a machine is connected to both the local network and the internet. Moreover, the left panel displays a list of all the items that you may need, for example: Manage Connections or Configure Network. 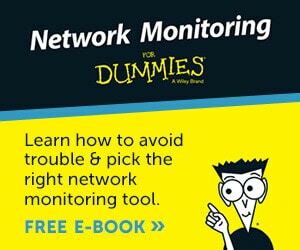 I find Vista’s troubleshooters in general, and the network diagnostics in particular, invaluable for getting machines connected. To let you into a secret, I the diagnostics have twice helped me when I overlook something obvious. My point is that if these troubleshooters guide a so called expert, then they will be a life save to ordinary users. What I particularly like about the new troubleshooters is that, while they are smart, they are not in your face like that irritating Microsoft Office paper clip wizard. The Vista troubleshooter sort of sidles up to you and says, ‘I can see something is not quite right, would you like me to help you solve it?’ If you want to prod one of the troubleshooters into action, just click on one of the many Diagnose buttons, which you see on many of Vista’s right-click menus. In addition to IPv4, IPv6 is installed and waiting for suitable applications. 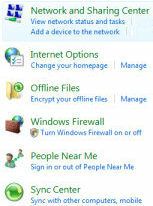 ‘People Near Me’ is a new category, and is designed for applications such as Windows Network MeetingSpace. At the bottom is an icon called Wireless Support, inside are tabs for us to configure Infra Red, Image transfer from Cameras and hardware. The Internet Section icon is just a shortcut leading to the new IE7 settings. 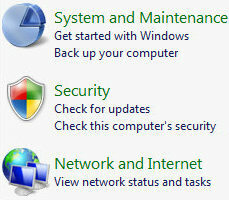 Windows Firewall and Offline Settings are much the same as XP. See much more about the Vista Network and Internet menus. Sooner later you will surely visit the System and Maintenance section of the Vista Control Panel. If you are familiar with the System Icon in XP, then many of the settings are very similar, however, as with much of Vista, there are more settings than ever before. Fortunately the Windows Key + Pause / Break still launches this interface. 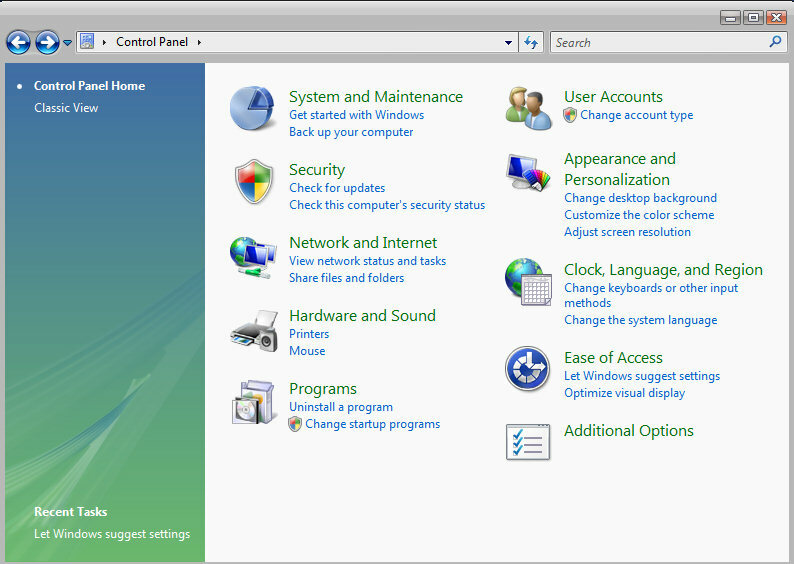 The Vista Control Panel shows its XP roots, in fact, the Control Panel is a good barometer for comparing the new of Vista with the old features of XP. One new feature is ‘Solutions to Problems’, which you find under Performance and Maintenance. Solutions to Problems evolved from XP’s troubleshooters and they illustrate how advances in Vista’s artificial intelligence provide a more productive and less frustrating computer experience. Some of the old Control Panel items have been re-arranged, for example, I found the Add or Remove Programs under Additional Options. One Control Panel section that has mushroomed was networking, in particular, the Network Center caught my eye.